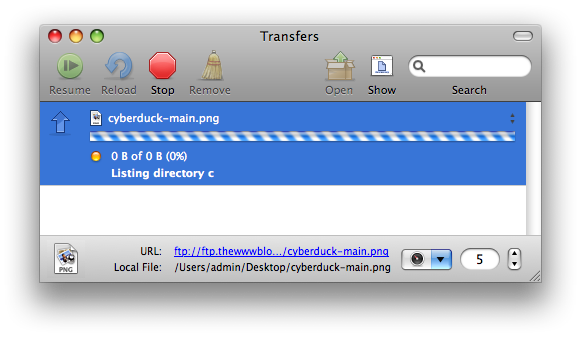 This is a review of Cyberduck mac application for File transfer protocol etc. for webmasters to connect to the web servers and transfer files etc. 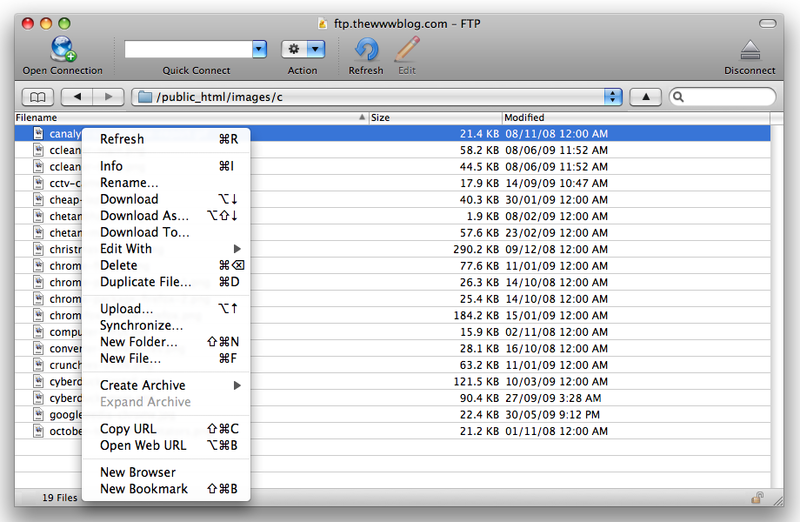 Cyberduck is a FTP, SFTP, WebDAV, Cloud Files & Amazon S3 Browser for Mac OS X. The best software so far i found for file transfer, and communication with the website server apart from many other secured features. 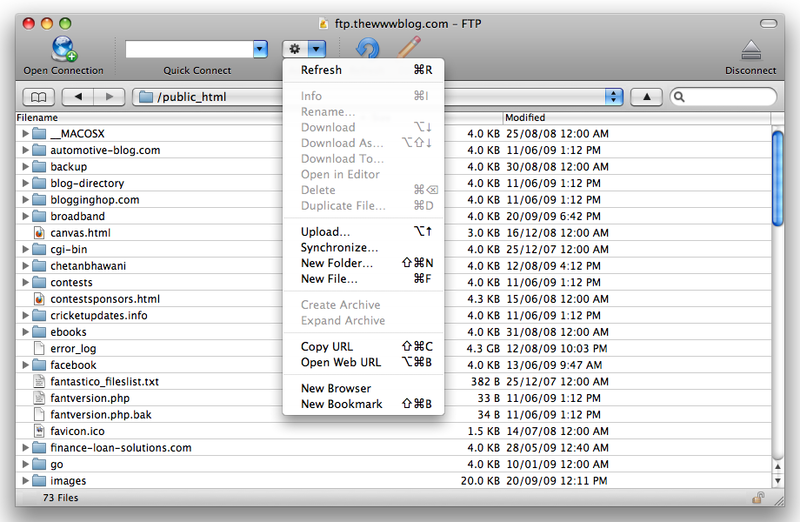 Earlier i had written article on how to install ftp client for mac, which was typically for Cyberduck so you can try installing using that procedure. You can hit the option of Upload and the directory opens a window to select the files to upload. It can be a single or multiple file upload. Also there is an drag and drop option, with which you can drag files from your computer and drop into the client directory and the upload starts. The uploaded file or folder, has got many options to modify the file. 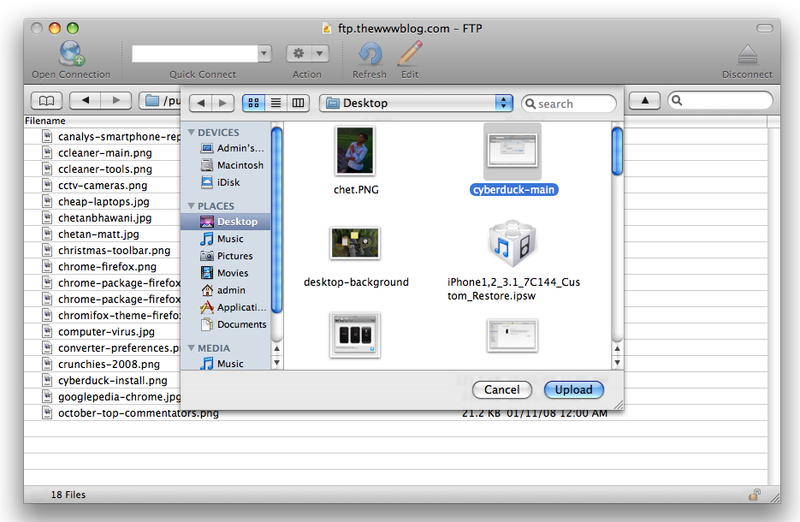 Like renaming it, info about the file, deleting the file, copying the file, create a duplicate file of the present one. 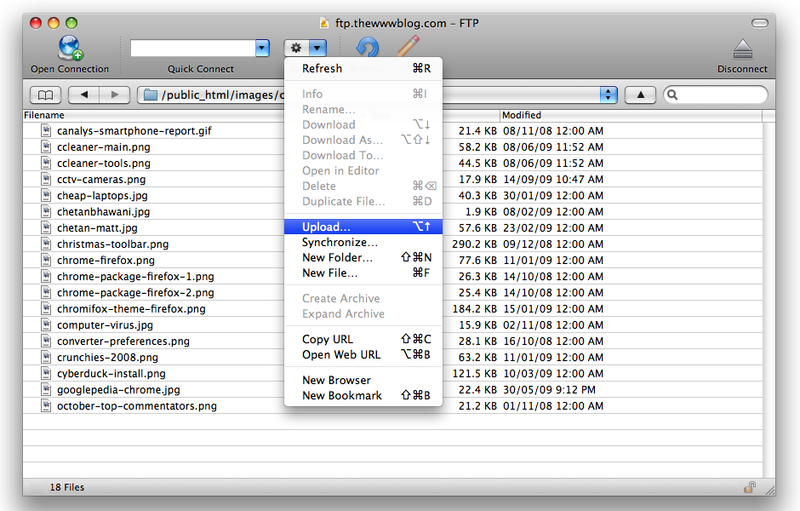 Also you can create an archive of the file upload. Like any other FTP client, you can edit the permissions of the file to make it visible/hidden to public and other permissions too. 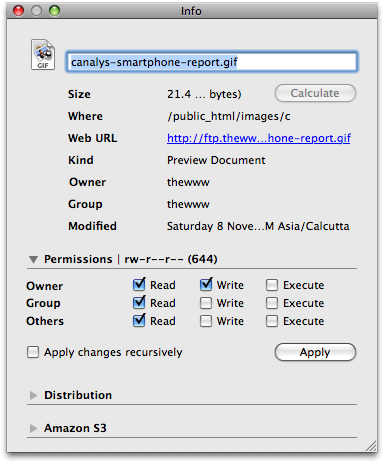 The same area also shows the data about the file whose permissions are being edited, distribution info and also you can calculate the size of the file after some editing is done. 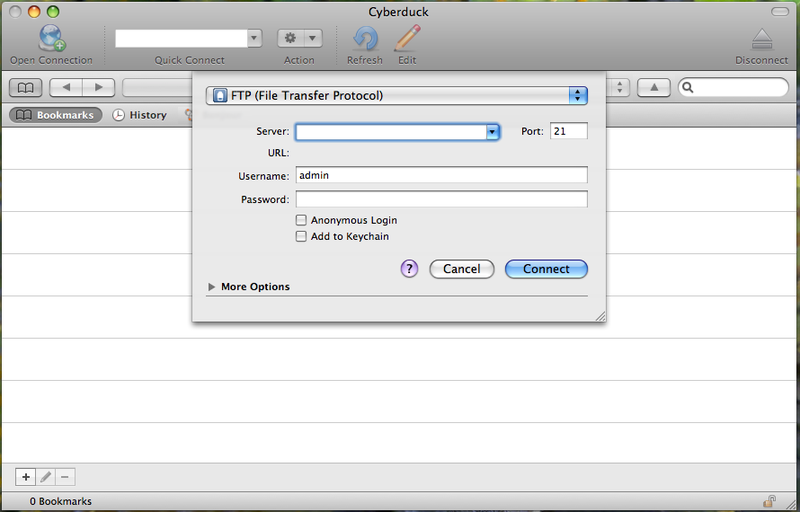 There are several other features, options available in Cyberduck app, some like using keychain for the password record, options for FTP, SFTP, S3, Bandwidth management, Connection settings. 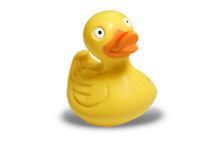 You can download Cyberduck from here.